Willingham by Stow surgery is a rural dispensing practice situated on the outskirts of Willingham By Stow village. Our area spans from Pilham and Blyton to the north, borders the A15 to the east and the River Trent to the west and Ingleby to the south. We have three full-time GPs: Dr Martin Monroe, Dr Dan Lane and Dr Steven Douglas. Together we look after some 4000 patients. Our staff include: 2 nurses, 2 health care assistants, a secretary, 4 receptionists, 5 dispensers, 3 administrators and a practice manager. We have two branch surgeries at both Marton and Corringham that provide a select service to villagers for a few hours per week, where a doctor can be seen there and prescriptions can be collected. 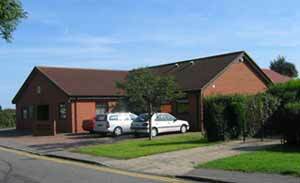 The surgery has an assigned Health Visitor and Community Nursing team that are based locally. Services that the surgery offers include: dispensing of prescriptions; a small range of over the counter medicines available for purchase; phlebotomy clinic; minor surgery; minor illness clinics; chronic disease management clinics; child health surveillance; vaccinations & immunisations; general treatment room nursing; choose and book referrals; smoking cessation support; pre-bookable appointments. The doctors and staff are proud to deliver a high quality healthcare to all of its patients and are conscientious in offering excellent chronic disease management and health promotion. Our approach to all of our patients is friendly, sympathetic, empathetic and non-discriminatory.